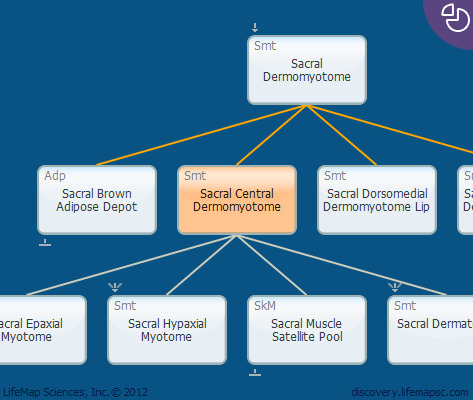 The central dermomyotome is the central segment of the somite epithelial sheet. It includes the called caudal and rostral dermomyotome lips of the sheet. The central dermomyotome contributes to both epaxial and hypaxial parts of the future myotome and to the muscle satellite cells pool. It contributes to future dermatome as well.